Holidays in San Felice del Benaco ↔ Discover Lake Garda! Here vacationers enjoy the ideal mix of sunbathing, water sports and culture. 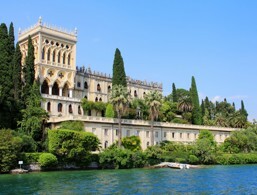 Do you know the old name of Lake Garda? 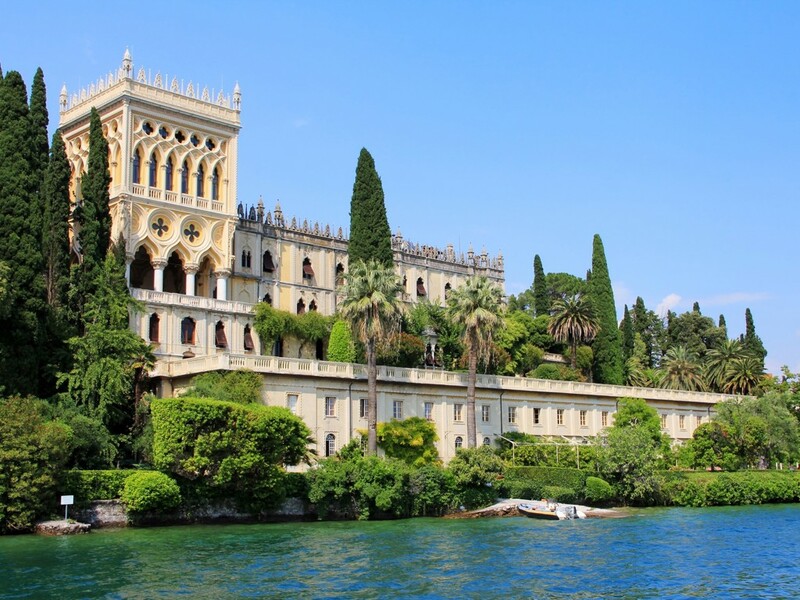 The solution to the riddle lies in the title: In the past, Lake Garda was called Benaco. The village of San Felice del Benaco, to the west of Lake Garda, still bears witness to this today. San Felice del Benaco is located directly on Lake Garda with its picturesque Portese harbour. The real village centre, however, is located on a hill with many narrow streets and narrow angles. The stately parish church of San Felice del Benaco rises between the winding streets, shops and restaurants. The baroque church is one of the most impressive churches on Lake Garda. This is due to the altarpiece of the Brescian painter Romanino, the ceiling frescoes by Carlo Carloni and the Roman stone on the outer church wall, which is said to be dedicated to Neptune. Other attractions in San Felice del Benaco include the small 15th-century San Dermo church and the Madonna del Carmine pilgrimage church, which houses hundreds of Madonna images. The guesthouses, hotels and apartments in San Felice del Benaco are ideal for a holiday mix of cultural enjoyment and beach life at Lake Garda. From the Camping Europa Silvella in San Felice del Benaco, you have a wonderful view over Lake Garda. Discover the popular holiday resort San Felice del Benaco. The parish church of San Felice del Benaco is dedicated to the martyrs Felice, Adauto and Flavia. It has a sizeable Baroque interior, dominated by a large oval dome. The altarpiece is by the Breschian painter Romanino. The ceiling frescoes, however, were made between 1759 and 1761 by Carlo Carloni in Baroque style. There is also a Roman stone dedicated to Neptune on the outside wall of the church. The pilgrimage church was built in the 15th century as a monastery church in San Felice del Benaco. The monastery was closed after 200 years and only reopened in 1952 by the Carmelites. Those who visit it will be impressed by the rich fresco painting in the interior, which is mainly attributed to the late Gothic and Renaissance styles. In the church, the miraculous Madonna figure "Patrona della Valtenesi" is worshipped. Also noteworthy are the many striking Madonna pictures in the church. The accommodations at San Felice del Benaco were rated 4.3 out of 5 stars by 22 users.